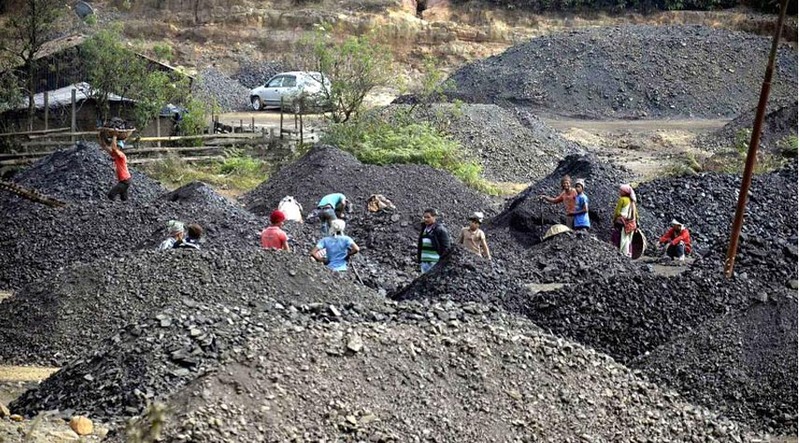 The State Cabinet on Thursday decided to pursue a resolution passed by the Meghalaya State Legislative Assembly to get Meghalaya exempted from central laws related to mining by knocking at the Centre’s door so that the ongoing ban on mining in the State is lifted at the earliest. Meghalaya Cabinet Minister Prestone Tynsong told media persons after the Cabinet meeting that as a follow-up of the resolution on coal mining already passed by the Meghalaya State Assembly, Chief Minister Conrad K Sangma would lead a team comprising ministers to New Delhi on Friday. The State team would discuss with the Centre on how to find a way out regarding the ban on coal mining in the State, and the need to urge the Centre to invoke Para 12 A (b) of the Sixth Schedule to the Constitution to exempt Meghalaya from the provisions of Central laws on mining. Tynsong recalled that the ninth Meghalaya Assembly had unanimously adopted a resolution in 2015 to urge upon the Central government to invoke Para 12 A (b) of the Sixth Schedule through a presidential notification to exempt Meghalaya from the Central laws related to mining which include the Mines and Minerals (Development and Regulations) Act, and the Coal Mines (Nationalisation) Act. The Cabinet Minister also said that after the meeting with the Centre, the Meghalaya CM will present a statement in the Assembly in the ongoing Budget session of the tenth Assembly. The ongoing Budget session will conclude on April 20. “During the Cabinet meeting, we discussed how to move forward and make sure that ban on coal mining in the state is lifted as it has affected the economy of the state and the people,” Tynsong said, adding that the State’s newly-appointed Advocate General Amit Kumar was also present since there are matters related to mining which are pending in courts – Supreme Court and National Green Tribunal. The National Green Tribunal has banned coal mining in Meghalaya since April 17, 2014 and the ban would complete four years on April 17 this year.